Chichen Itza, Mexico is probably the largest significant and amazing city, erected by the Mayans, who is now the territory of Mexico. Many of the most remarkable sites in Mexico are located on the Yucatan Peninsula, which is a flat, hot and very dry area however there are several small lakes. The lake in the northern part of the peninsula was built incredibly by the historic Mayan city of Chichen Itza and now the most significant complex bequeathed by the great Mayan civilization is included in the list of World Cultural and historical heritage of UNESCO. The village is made up of people from the group of Itza Maya who migrated to the region sometime in the 7th century. A little later, about 10 centuries, Chichen Itza was conquered by the Toltec people, which were experiencing their cultural zenith there in their civilization. It is believed that Chichen Itza was starting to build more around the fifth century. Today, this historic complex is considered the most impressive proof of the great Indian civilizations of the past and the largest Indian town in the territory of Mexico. Chichen Itza was formed as a city for 600 years. Invasions of the Toltec probably started about 987 years ago. Proof of this were the stone products that were found. They are a mix between the styles of Mayan and Toltec. In the eighth century evidence suggests that major wars were boiling, resulting in Chichen Itza sinking to its ruins, which can be seen today. Chichen Itza has relatively well preserved buildings from the time of the Maya which can be seen today. 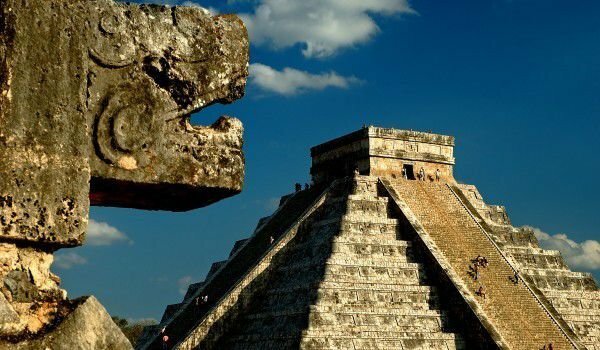 Among which the most famous is the, Pyramid of Kukulkan, where twice a year, the rays of the afternoon sun form a shadow of a turtle, which climbs the stairs of the temple. 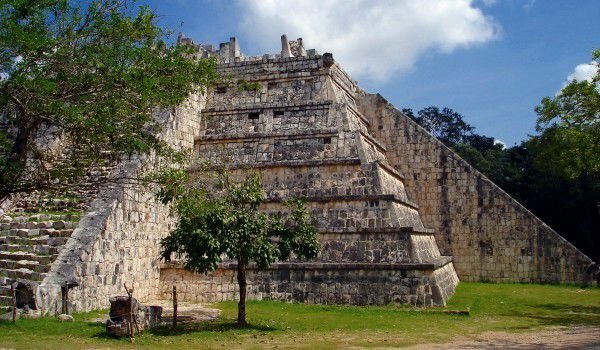 Visitors to Chichen Itza today can see temples and terraces, staggered pyramids, stairs, altars, palaces, thrones, carved inscriptions, bathrooms, observatory and statues of gods. All are located in an area no larger than 10 square kilometers. Although they did not use metal tools, they were specialized in the creation of great buildings, jewellry, pottery, ornaments of feathers, fabrics and wall paintings. Maya of Chichen Itza calendars were discovered riched with their alphabet. Spanish soldiers conquered Mexico in 1519 and it is they that plundered and destroyed much of the wealth of Chichen Itza. Particularly intriguing today in the complex of Chichen Itza is the massive temple, which is surrounded by 60 columns. Quite clearly on the stone carvings can be seen the depictation of wars and the Toltec people with pierced noses, ready for battle, decorated with ornaments of feathers on their heads. Images of snakes and skulls have been preserved on the eastern terrace of the yard which were used to play ball. It is to this Wall of skulls in Chichen Itza where they cut heads impaled at the time of sacrifice. The Nine feet is also of interest it is symbolizing the ninth underworld and has a pyramid. It rises to a height of 24 m and just 91 steps leading to the temple, dedicated to Kukulkan.